Children’s Therapy Services L.L.C (CTS) has been providing Physical Therapy, Occupational Therapy, Speech/Language Therapy and Educational Services to children and their families in Western Connecticut since 1987. 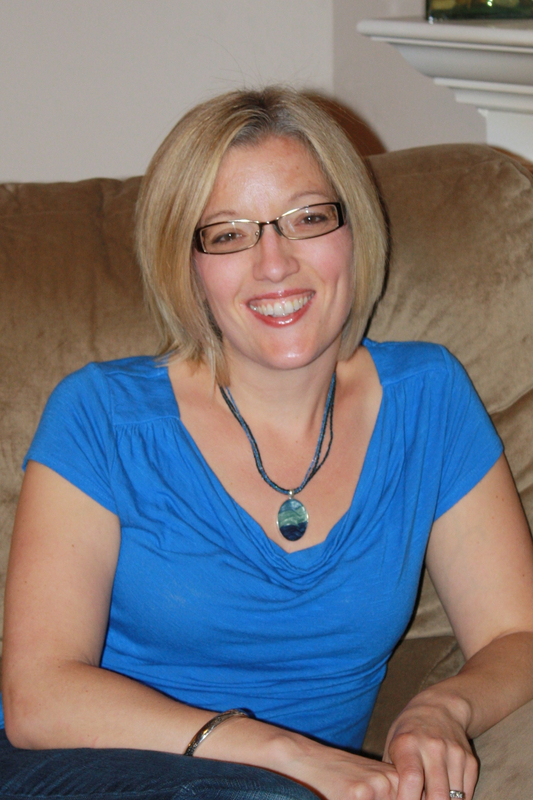 Liberty has worked as a teacher of young children for over 15 years. She is especially passionate about helping children and making a difference in their lives. Liberty holds a BS is Psychobiology from Long Island University and after graduating conducted behavioral research as a Fulbright Scholar. She later went on to earn her CT Teaching Certificate and MS in Special Education from Southern Connecticut State University. For the past ten years, Liberty has been working as an Early Intervention Special Education Teacher for CT Birth to Three Program. Liberty strives to give a family the tools and support they need in order to foster their child’s growth and development. As a wife and mother of two young girls, my family struggled with my youngest daughter’s sleep problems. I learned after 18+ months of restless nights how having a child with poor sleep habits can affect all aspects of a family. I checked out every book in the library in an effort to help my daughter. I was not able to improve her sleep because I was simply too tired to read them and the information was too overwhelming to decipher in my exhausted state. I wished there was someone who could tell me what I needed to do. In my search for sleep solutions for my daughter, I discovered the Family Sleep Institute and decid ed to become a child sleep consultant. While studying under Deb Pedrick (Founder of the Family Sleep Institute and Co-founder of the International Association of Child Sleep Consultants), I was able to turn my daughter into a fantastic sleeper using the knowledge and strategies gained through my certification course work. 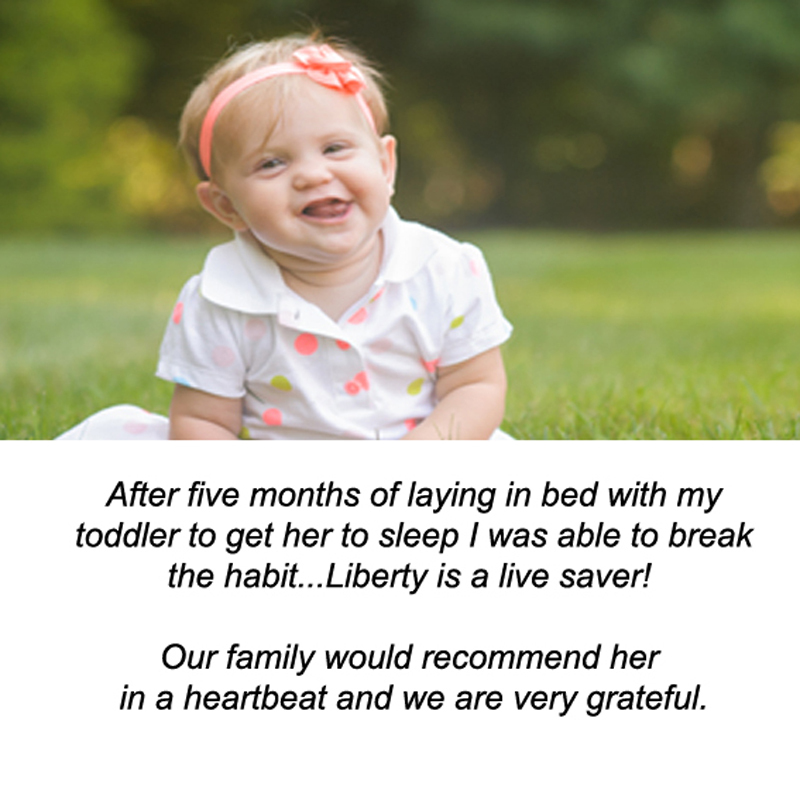 I was amazed at the difference high quality, restorative sleep made in my daughter’s mood and behavior and the difference it made in our entire family. Prior to working as a sleep consultant, I had many families in the Birth to Three Program ask for assistance with their child’s sleep habits. Although, I was able to offer some strategies to help and could sympathize with them, I wanted to be able to help them more. 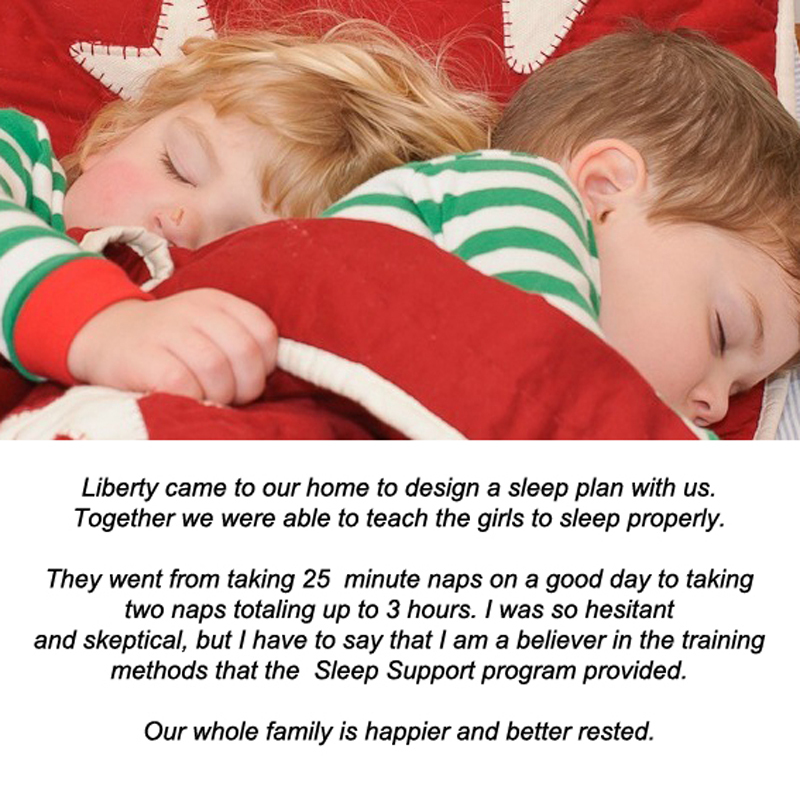 I have since been able to help many families to become well rested and would love to be able to help yours. Please email me or contact me by phone at 203-240-0063 for more information.